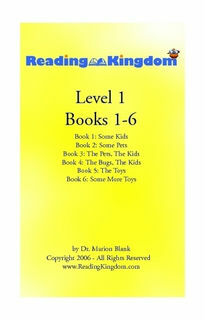 Which level in Dr. Blank's Reading Kingdom is the right one for your child to start with? 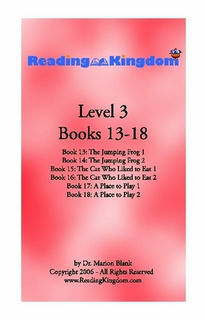 Level 1 story books: Characters such as kids and animals are central to any story. This first level presents the simple, basic phrases and sentences needed to discuss these key "residents" of the story world. 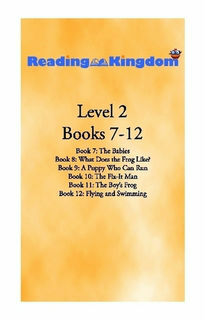 Level 2 story books: After being introduced, in Level 1, to characters (such as kids and animals) and key properties of those characters, Level 2 increases the complexity of the writing to introduce longer sentences, more sentences on a page and some unique features of text such as quotations and the punctuation they require. This level also offers pages of text unaccompanied by pictures--a key component of effective reading. Level 3 story books: In Level 3, the workbooks systematically introduce the past tense - a form that is critical to effective retelling of events. 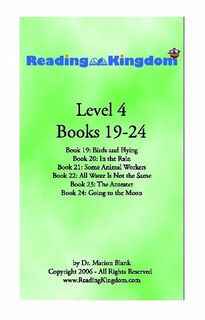 Level 4 story books: Non-fiction subjects, such as science, are critical to reading success. At this level, children are introduced to science-related texts such as the habits of animals and the manned space flight to the moon. Presentation of this material naturally entails more complex vocabulary and more sophisticated sentences. 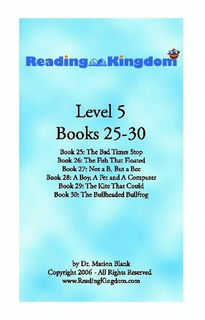 Level 5 story books: At this level, the workbooks offer richer, fantasy-based stories that contain characters who experience complex thoughts, emotions and experiences. This sets the stage for the children to independently and successfully read the wide array of appealing workbooks that are aimed not at teaching reading, but at enjoying reading. Dr. Marion Blank is a world-renowned literacy and language expert on the faculty of Columbia University where she created and directed the Light on Learning Program. She has lectured extensively around the world, authored dozens of peer-reviewed articles and books and developed numerous award winning teaching programs (including the ground-breaking reading education site, ReadingKingdom.com). She is a recipient of the Upton Sinclair Award which honors individuals who have made a significant contribution to education.